January is the month where New Year's Resolutions are made and often broken. I decided last year that in 2017 I wanted to keep a closer eye on what I was eating on a daily basis. It's not that I consider myself a very unhealthy person. I do a lot of running, try my very best to get a good night's sleep and don't throw burgers in my face on a regular basis. But I do have a habit of letting generally good eating habits slide very quickly. I have the tendency not to eat at the right times or miss meals altogether. I know, it's not good. So I wanted an easy solution to the problem without having to invest in a nutritionist to get my diet and eating habits in order. Then I remembered that I'm in the possession of many fitness trackers that have, for some time, promised to make it easier to monitor food intake. The trackers themselves can't do it (not yet, anyway), but the apps that accompany them do promise to make it an easier job than scribbling things down on a piece of paper or just remembering what you ate for lunch yesterday. I've tested Fitbits, Jawbones and whole host of other trackers in the past, and food tracking has always felt like the holy grail. We have the step counting pretty much covered, sleep tracking is at a good place if still a little basic. On the food tracking side, I still have my doubts how useful they really can be. So that brings me to this diary. 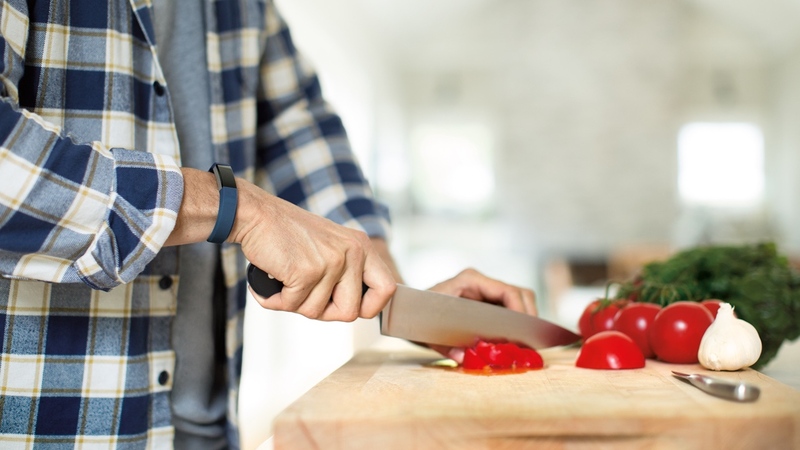 I've decided it's time to take a much closer look at how the leading fitness trackers are approaching the concept of food tracking. I'm coming from a basic standpoint on what I do know. I know what's good to eat but I'm pretty sure there are things I tuck away for lunch that I should probably refrain from eating on a regular basis. But I'm not just looking at how food tracking is being done, I also want to find out just how a good job they do in creating good habits and educating me on what I'm putting in my body. I kind of have an idea, but for someone that is new to this world, that's pretty important. Also, I want to know if I'm being offered valuable data and being given the kind of insights that can help me make short and long term changes to my diet and overall lifestyle. I'm going to be spending a couple of weeks each with a bunch of big name trackers including Fitbit, Withings and Under Armour. I'll be tracking daily activity as normal, but I'll be paying much closer attention to what they deliver as far as food tracking is concerned. I'll also be exploring what the smart home world has to offer in these realms as well as speaking to experts and the companies behind those platforms including MyFitnessPal, which is considered the king of the food tracking apps.